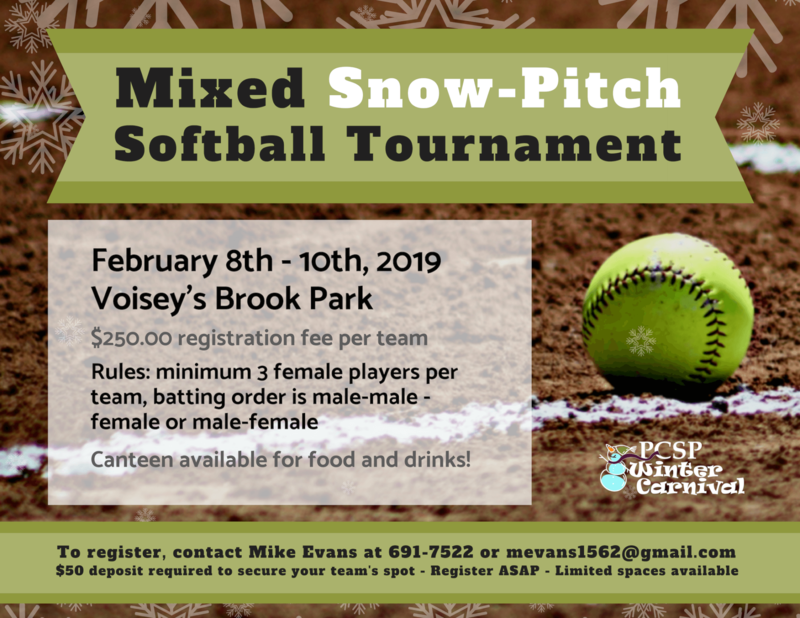 As a part of the 2019 Winter Carnival in PCSP, there will be a mixed “snow” pitch softball tournament on February 8th – 10th at Voisey’s Brook Park. Further details can be found on the poster below. More information and a full schedule of 2019 Winter Carnival events will be released next week! Stay tuned.